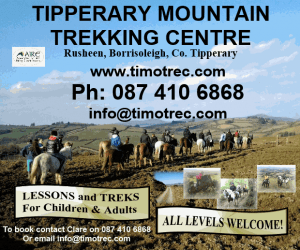 These walks will be of particular interest to families and kids but all are welcome to attend and learn about Tipperary’s wildlife. 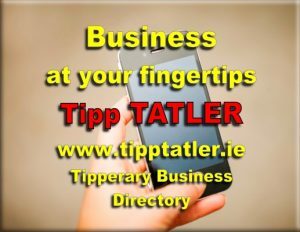 For more information please contact Albert at albert.nolan@rocketmail.com or Tel 089 4230502. On Monday 8th July we will do a Mini beast hunt in the grounds of St Mays Protestant graveyard. This beautiful habitat has mature trees, old stone walls and a wild edge that attracts many different species of wildlife. We will also be looking at the birds, trees and flowers. Meet at the entrance to St Mary’s at 10.50pm and walk will be over by 12.00pm. On Thursday 11th of July we will hold nature walk and talk in Dundrum Drive housing estate. There will be a short presentation on the recent wildlife planting followed by a nature walk. Dan and Albert will be available to answer questions around how to attract wildlife to your garden and community areas. This walk would suit Families, kids, residents groups but all are welcome. Meet at the entrance to Dundrum drive at 1.50pm and concludes at 3.30pm.